Have Faith In God The Imagination Power Within You! Why is it that we human beings struggle, toil, fight, some even kill to get this man invention called money. I mean money is only a piece of paper! Money has no value, money only has the value we give it. We work 24/7 to get more of this piece of paper, we give up and sacrifice our joy and peace of mind to get more worthless paper. I know people are exhausted and tired chasing this paper. Do this for me please, take out the money right now in your wallet or purse and really look at it, I mean study it, I mean truly focus on it. The truth is money is only a piece of paper with pictures and words written on it and that’s it! Money in its self has no power. It is we the people that give money its power and authority. It is we the people that have the power not money. We have been manipulated all our lives to serve this thing called money. I mean I know people who have worked all their lives earning and accumulating this money and after working 50 -60 years of hard work, they are still broke and still very unhappy. I even know millionaires with everything you can imagine and these rich guys are empty and full of sorrow and sadness and very unhappy. I had to ask myself a serious question do I want this meaningless and empty existence for myself and my children. the answer is NO!! Don’t get me wrong, what I really want, is a fulfilled and a satisfied life. I see money only as a currency used for the exchange of goods and services. I need money to live on this planet, but money should serve me and not me serving money. You cannot serve two masters, you cannot serve God (Imagination Power within us) and Money. The truth is all you really need to have all your hearts desires met is faith in God and as you believe and imagine in faith and in truth and not doubt in your heart, everything will be added unto you. That is if you truly believe and live by faith and not by sight. A true believer in the spirit of truth within must live by faith and not by sight. The law was given by Moses and grace and truth came through Christ that is within you. Christ is the spirit of truth within you. There is a story in the Bible where, Christ was teaching his followers to live by faith and not by sight when he sent them out and told them “Don’t take any money in your money belts–no gold, silver, or even copper coins. 9. Do not take along any gold or silver or copper in your belts; 10 take no bag for the journey, or extra tunic, or sandals or a staff; for the worker is worth his keep. Below is another Bible verse that completely changed and transformed my thinking and thought me how to live by faith and not by sight. This verse proved to me that God (Imagination Power within us) truly creates reality. All we truly need to do is trust God and not doubt. God is the creator and the source of all things. God spirit, God is love, God is the Imagination power within you. God is the creative higher intelligence within you. God is the spirit of truth within, God is power and wisdom, God is the creative force and the life within.. God is alive and active within us right now, God is the alpha and the omega, God is the beginning and the end. 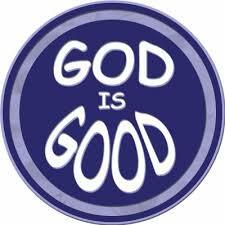 God is all imagination, God is good, God is life and God is reality. Have faith in God the Imagination power within you.This week we must all live by faith and not by sight. For faith has more value than Silver and Gold. Have faith in God, The Imagination Power within you. Imagination is reality. The Apostle peter said ones’ faith is of greater value than gold. Your will be done on Earth as it is in heaven, for the kingdom of heaven is within you. Always imagine the best in everything. Have a glorious and prosperous week. ← All Conception Takes Place In Your Imagination!